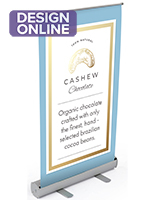 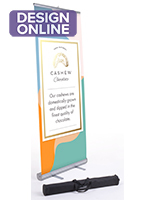 Banner Size: 35" x 82"
The 35” custom vinyl banner stand with a retractable base is a portable sign for trade show booths and displays. 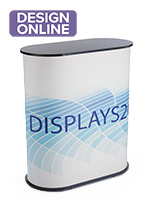 Get custom graphics with each unit to advertise company products and services. 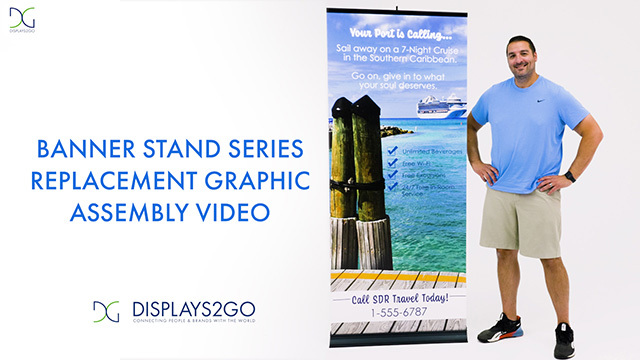 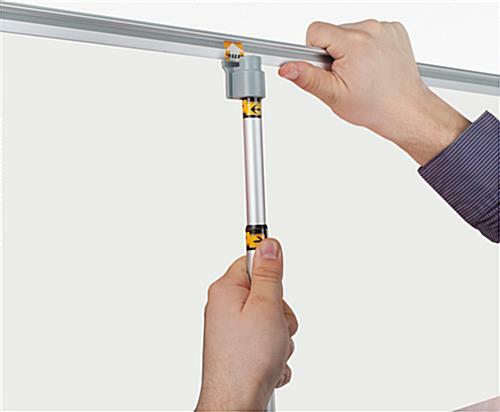 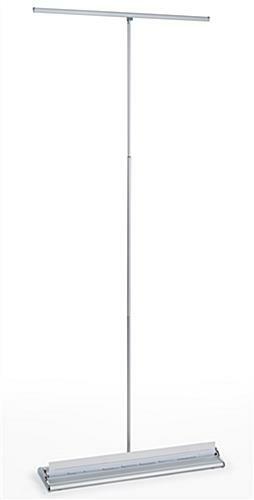 The 82” tall frame with a height adjustable pole allows event attendees to see the printed banner stand from far distances and invites them into the exhibit booth. 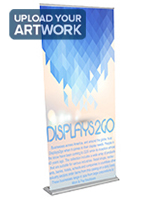 The retractable base coils the artwork inside and can be disassembled into the included black canvas carrying bag for easy transport between shows. 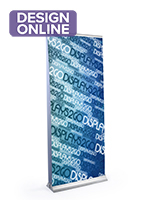 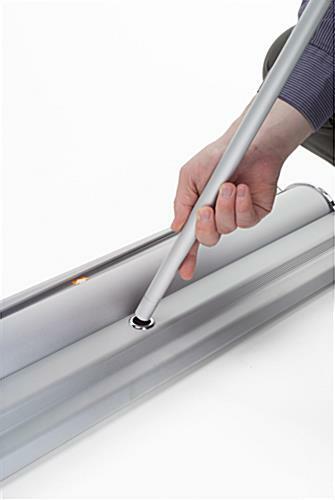 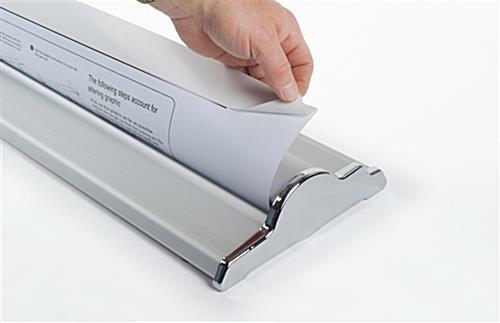 Keeping the banner stand in the travel case also prevents damage to the system and printed graphics. 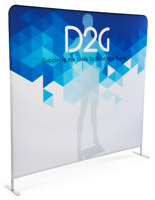 Each sign is a great advertising tool for trade shows, exhibitions, and conferences! 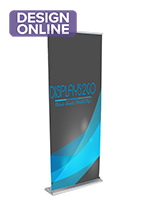 37.0" x 90.2" x 20.0"
38.0" x 5.0" x 10.0"
The banners I ordered fulfilled the expectations in terms of printing, stability and set-up. 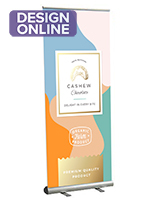 The only thing I'd suggest to improve is to clarify the timing for production, as I had to upgrade my shipping service for a more expensive one because to me, the timing between the moment when the order is received and production is concluded wasn't very clear.